This summer-in-a-bowl pasta with sharp Pecorino Romano, crunchy pine nuts, and fresh basil is a great way to use up your summer produce. You guys, where did the summer go? Wasn’t it just June last week, when I was stressed out over all the end-of-the-school-year craziness? Now I’m shopping for backpacks and feeling that familiar angst of school starting in September. My plan is to savor these last few weeks of summer every way I can: invite friends over to roast s’mores by a fire, sip rosé on the patio, and eat ALL the corn, tomatoes and zucchini. This summer-in-a-bowl pasta with sharp Pecorino Romano, crunchy pine nuts, and fresh basil is a great way to use up all that end-of-the-season produce. It’s rich in flavor so I serve it as a main dish, but it also makes a fantastic side to grilled Italian sausage if you have leftovers. To begin, combine the tomatoes, shallots, garlic, olive oil, salt, and sugar on the prepared baking sheet. Toss with your hands or a rubber spatula until the vegetables are evenly coated. Arrange the vegetables in a single layer and roast at 450°F for about 20 minutes, or until the tomatoes are starting to brown. Remove the pan from the oven and add the zucchini and corn. Toss with a rubber spatula (the tomatoes will collapse; that’s okay) and spread into and even layer. Roast for 5 minutes more, until the zucchini and corn are tender-crisp. Meanwhile, cook the pasta in salted water until al dente and drain. Add the pasta back to the pan, along with the roasted vegetables and all their juices. Add the butter, herbes de Provence, red pepper flakes, pecorino romano, basil, and pine nuts. Toss well, then taste and adjust seasoning if necessary. Spoon into pasta bowls and drizzle with olive oil, if desired. Serve with more grated cheese. Enjoy! Preheat the oven to 450°F. Line a baking sheet with heavy duty aluminum foil. Combine the tomatoes, shallots, garlic, olive oil, salt, and sugar on the prepared baking sheet. Toss with your hands or a rubber spatula until the vegetables are evenly coated. Arrange the vegetables in a single layer and roast for 15 to 20 minutes, or until the tomatoes are just starting to brown. Remove the pan from the oven and add the zucchini and corn. Toss with a rubber spatula (the tomatoes will collapse; that's okay) and spread into and even layer. Roast for 5 minutes more, until the zucchini and corn are tender-crisp. Meanwhile, cook the pasta in salted water until al dente. Drain, then add the pasta back to the pan. Add the roasted vegetables and all their juices to the pasta, along with the butter, herbes de Provence, red pepper flakes, Pecorino Romano, basil, and pine nuts. Toss well, then taste and adjust seasoning if necessary. Spoon into pasta bowls and drizzle with olive oil, if desired. Serve with more grated cheese. Note: Herbes de Provence can be found in the spice section of your supermarket. Most markets carry it but if you can't find it, dried thyme may be substituted. Note: To toast the pine nuts, put them in a dry skillet and cook over medium-low heat, stirring frequently, until golden in spots, about 3 minutes. This recipe is one of my husband and I’s favorite pasta recipes! It is super tasty and easy to make. I frequently make it for our work lunches. I would highly recommend this recipe to anyone who loves vegetables and pasta! This is one of our favorite Jenn recipes! We make it year round (using frozen corn in the winter and roasting the veggies a bit longer after adding it)! One of my all time favorite recipes from Jenn’s blog! Absolutely delicious, so flavorful, beautiful and easy to make. I love to make extra so I can have leftovers for lunch. This is a super hit recipe with our family. My kids keep coming back to this recipe and they have asked me to make this so many times . Simple , delicious and super yummy. This was delicious! I made it as written and the only thing I would change is to put less garlic as I had big cloves and it was too much garlic, but I love the veggies with the crunch of the pine nuts. I’ve made it twice now! Also – Is the corn roasted raw off the cob or cooked first? Hi Linda, You’ll remove the kernels from the uncooked ears before roasting them. Hope you enjoy! This was FANTASTIC. I mixed it up with the veggies a bit based on what I had in the fridge (no shallots, added carrots and string beans) and cooked them a bit longer; also substituted Parmesan cheese. Hands down the best pasta dish I’ve made and a new favorite. THANK YOU! I do not have access to shallots, could I substitute yellow onion? What amount? Sure, Linda – I think one large (or 2 small) yellow onions will work well. I am obsessed with Jenn’s recipes and my family and I have loved every one of the many we’ve tried. This pasta is just ridiculously good. My 11 year old and I made it together in about 35 minutes and everyone, from my picky vegetarian teen to my meat loving husband, cleaned their bowls and begged for more. I can’t stop thinking about which friends and family members I can share this with. Thank you so much Jenn! You’ve brought so much joy into our house. Delicious summer recipe! My whole family loved it. It makes quite a lot, but the leftovers held up very well. I opted to omit the butter at the end and used pasta water instead. Turned out great. Thanks! Well Jenn you have done it again ….make me look fabulous in my family’s eyes! This dish is a perfect summer meal! I’m trying to do more plant based eating and was shocked when my hubby and son raved about it and then took 2nds and 3rds! Now I’m a bit upset I don’t have anything to eat tomorrow 😕. Will this work with coarsely chopped big red tomatoes instead of cherry tomatoes? Sure Daria, that will work. Hope you enjoy! It did, and it was AMAZING! My kids still refused to eat it (because it was delicious, I suppose), but I don’t care! More for me! 🙂 Definitely entering our frequent rotation list. Thank you Jen – your recipes are amazing! Delicious summer dinner! I love the idea of adding fresh mozzarella mentioned in an earlier comment. Will make again and again. Delicious!! I did add 1/2 cup pasta water as another reviewer suggested. Yummy enough for company. We made this last night and really loved it. It is a perfect summer dinner. My husband, who is a novice cook, made it mostly by himself and had no problem following the recipe. It looked exactly like the photo and tasted fabulous! We will definitely make it again. O. M. G. Jenn, this might be the best recipe of yours I have made – and I have made a lot of them! If you are reading this review, make this immediately! The roasted tomatoes are the best part – they come out super sweet and with an amazing flavor. I roasted the veggies over the weekend and then put the rest of it together on a week night for a fast meal. I added pre-cooked chicken sausage to it to please my husband, but it really doesn’t need that in terms of flavor if you’re looking for a vegetarian dish. 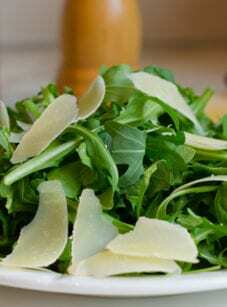 Served with arugula/corn salad with lemon and Parmesan for a complete meal. Jenn, this salad is next-level good. I’ve used tricolor rotini (for more color), added a bit more zucchini for more veg and it turned out great. Pairs well with a mild Italian sausage. This was fantastic! Easy to make and very tasty. I reserved a bit of the pasta water to increase the sauciness, which worked well, and also added some bococcini balls. Delicious. Hi Jenn, what do you mean by “smashed garlic”? Does one just flatten it with a knife and then dice it? Thanks! Love all your recipes. Hi Hannah, yes, you would smash it with the side of your knife, but no need to dice it after smashing. Hope that clarifies and that you enjoy the dish! My wife made this for dinner this evening and it was absolutely delicious! I just printed it off so she can make it again! Loved this for dinner and then again as a cold pasta salad the next day! It keeps really well for a day or two. Just drizzle with a bit more olive oil and cheese. The entire family thought this was delicious. I’ve not been disappointed in a single one of your recipes. What a great dish! My husband and I cooked it up together and it was ready and very delicious in no time at all. I will definitely pass this on to others. Very impressed! I was wondering could you use gluten free pasta for this meal? Looks delicious! Hi Melissa, I definitely think you could use gluten-free pasta here. Enjoy! I made this tonight as a side dish. I usually NEVER muck with Jennifer’s recipe, as one would never mess with perfection, BUT…I eliminate the corn,& roasted red peppers. Bring it was rainy & cold, my 41/2 granddaughter &I made homemade fusilli. Otherwise, NO other changes, & it was heavenly delish. Can’t wait for to make this again, using veggies from my garden. Thanks, Jen for another home run. Hi Jenn! This is recipe is delicious just like all your other recipes that I’ve tried. My husband actually said that I’ve been “hitting it out of the park lately”. I want to make this recipe for a party I am having and I want to do as much in advance as possible. Could I roast all the vegetables the night before and the day of just reheat them in the oven or will all the juices dry out? Hi Tamara, You can absolutely roast the veggies the day before — shouldn’t make any difference. Just keep them on the same pan so you don’t lose all the juices. Enjoy! I love your recipes and this is my absolute favorite one so far!! It is so delicious! How long does this store in refrig? Hi Palma, it should keep nicely in the fridge for about 3 days. This is one of my favorite go-to recipes, and not just at the end of summer. I typically make it as directed in the recipe; however, if I am out of a listed ingredient or just want to experiment a bit, I will make substitutions (i.e., add sweet potatoes or butternut squash in place of the corn; pecans or walnuts for the pine nuts; Parmesan for the Romano cheese; other dried herbs for the herbes de Provence). Since I generally have a rotisserie chicken in the refrigerator, I will sometimes add it to make it a substantial main course. And, or course, adding garbanzo beans or other beans is never a bad idea. I love how I can use it as a basic method and take liberties with the ingredients. It always turns out fantastic. I make half of the recipe since there are only two of us, and it makes more than we can eat, so I look forward to eating it later as a cold pasta salad. Absolutely delicious! Wow! So good — this recipe is amazing (and easy)!! This was such a simple and delicious recipe. When I first saw the recipe, I wasn’t expecting much in terms of flavour, but the tomatoes and roasted shallots really give this pasta its taste. The zuchinni and corn are great additions adding some texture to the pasta dish. I used Grana Padano instead and it tasted superb! Definitely adding this to my recipe box! I made this a couple of weeks ago. Very easy and the flavors were awesome! It was screaming “the end of summer” in a bowl! Leftovers were just as good!! I will definitely be making this again! Excellent meal!! Our young kids loved it too. Easy to make and prep. Thanks for the great recipe! Loved this recipe! Quick, easy and even my picky eater enjoyed it! Do you think walnuts would be a good substitute for pine nuts? I tend to have those around more frequently than pine nuts. Glad you enjoyed it! And, sure, walnuts would work here as well. Hi Jen, Just made this delicious pasta dish. I have just recently been told I have a gluten sensitivity, so I did use a gluten free pasta. Still looking for a pasta I enjoy, but when I added the lovely roasted vegetables and herbs it was so comforting and yummy. Exactly what I was craving. Thank you again for a great hit. This recipe was delicious! A family member is allergic to pine nuts so i left those out, but we never missed them! My daughter who usually hates zuchini loved it! i served it warm and will definitely makeit again. Delicious is our evaluation of this recipe! I followed the recipe except for the basil. My family isn’t a fan of the bold flavor. My husband asked me to make it again so that means it’s a star recipe!! Thanks Jenn! Made this recipe and it was a perfect way to use a large amount of our CSA at once and it was parent / toddler and baby approved!! I made it exactly to the recipe and thought it was summery, flavorful and was also great cold the next day. Next time I’m going to swirl in a little pesto. Great recipe! Such a delicious and easy dish! I followed the recipe as written, substituting the dried thyme for the Herbs de Provence. The flavor was very rich, and the roasting vegetables filled the kitchen with a delicious aroma! I reheated some of the leftovers at work the next day, and a coworker asked what smelled so good. Thanks for another great recipe, Jenn! Wonderful dish. I did make just a couple adjustments. First, on the roasting of the tomatoes, I added about a 1/2 teaspoon of anchovy paste (you’re going to have to trust me on this one). It adds sooo much depth to roasted veggies like this. There is no fishy taste at all, it will be that taste that others will never be able to put their finger on. Truly delicious! Such a great combination of vegetables to roast – we loved how the garlic, shallots and tomatoes “melted” and the zucchini and corn stayed crisp. Nice textures, especially when adding the toasted pine nuts. This was easy to prepare (and clean up!). We served alongside some leftover grilled salmon. I may try to add some bacon as a topping next time. Thanks for yet another great recipe, Jenn! Delicious! Made this dish two times in one week! Now my kids are going to make this when they are away at college. My family loved this recipe! Even my picky son! Made this the other night but just made 1/2 batch for two of us. It was delicious!! We had it as a side dish with grilled bacon wrapped pork ribeyes. The summer vegie flavor combination with the grilled meat was wonderful. Who would think a pasta recipe with some vegetables thrown in would garner such richness, and intensity of flavor that made my family crave all night! Thanks for yet another winner!!!!! This is summer in a bowl! Delicious! This is a PERFECT go-to if you’ve got garden surplus or you just want to put something colorful and gorgeous on your table. I absolutely loved this, and I love how it can be modified in a variety of ways to suit one’s tastes. I added orange bell pepper and chickpeas. Can’t wait to have it again for dinner tonight! Made this last week with a few modifications and it was a huge hit. Loved the way the veggies turn out roasted this way and how it all comes together with the pasta. Included two medium bulbs of fennel that we got in our weekly farm box and it was a nice addition. Did not include the corn. A great way to celebrate the bounty of our summer and fall growing season. Another winner! Perfect dish for this time of year to take advantage of great end of season fresh produce. Shame it won’t be as tasty to make all year round. Made this for dinner tonight and it was AMAZING! Everyone enjoyed it – adults & kids – and fought over the seconds. I made this last night for dinner…it was delicious. I was so glad when the dog asked to go out in the middle of the night – I snuck a few forkfuls of it cold while she was taking care of her business! Will be making this many more times all through late summer! I made this on Saturday as my contribution to a dinner invitation. There was nothing left of it. As I was entertaining on Sunday, I made it again…..barely any leftovers. Looks and smells delicious but most importantly is super tasty and fresh. I already added it to my list of go to dishes. My family loved this pasta side! It’s a keeper recipe! I have a bumper crop of cherry tomatoes so thought I tried the recipe and I’m happy I did. I have made similar pasta/veggie recipes that were bland but this version is DELICIOUS! Jenn, I love how your recipes are always so full of flavor. For those wondering about the pasta measurement, it’s 3/4 of a box. Recipe smelled delicious while baking, but was somewhat disappointing. I only subtracted 1-star because, in hindsight, the recipe was compromised due some procedural errors I made. There are only 2 of us so I made a half recipe. Error #1 was using an 11×17 sheet pan. After 15 minutes @ 450 some of the tomatoes and onions around the edges were already overly dark and stuck to the pan bottom. All of the juices had evaporated. Next time I’ll use non-stick foil to line the pan and select a smaller bar pan for a 1/2 recipe. If your cherry tomatoes are very small in size (as mine were) I think they may not yield as much juice as well. I proceeded with the recipe by adding the zucchini and corn and baking for another 5 minutes. To make up for the lost juices I added a few tablespoons of water. Final analysis: I felt the veggie mixture seemed somewhat oily rather than juicy. The dish was flavorful, but rather ordinary. While I love pine nuts, I felt they were an odd choice—much to delicate to stand up to the robust Italian herbs and salty Pecorino Romano. I plan to make the recipe a 2nd time—watching cooking times more carefully, cutting vegetables in somewhat bigger pieces, cutting back on oil (and using non-stick foil) and omitting the pine nuts. How long do leftovers of this keep for in fridge? Hi Stephanie, I’d say 3 to 4 days. This pasta dish is amazing! I made it for dinner last night and served it with chicken. From 18 months of age to grandparents and lots in between, it was loved by all. I had hoped for leftovers, but alas……..
Easy to make and delicious!! The mixture of textures and flavors is spot-on. Next time, I’m going to add chicken, as we love chicken. Delicious. And I didn’t have pine nuts or fresh basil. The sweetness made it. Thanks again for a great dish! Looks wonderful. Is there a way to prepare this/ reheat to bring to a potluck dinner? Hi Donna, It reheats well so go ahead and prepare it ahead and reheat in the microwave. If it seems a little dry, just add some olive oil. It’s also good at room temperature. What can you subitute for the herbes de Provence? Hi Rob, Fresh or dried thyme will work (use a tablespoon if using fresh). This looks amazing! My husband has a nut allergy. Do you think this would be just as good without or do you have an idea for an alternative? Hi Shawn, I’d replace the nuts with fresh mozzarella pearls. It’s nice to have texture contrast. Jenn, you are a goddess. I can’t wait to make this. Probably this weekend. Was looking for a great recipe for end-of season corn and tomatoes. You never disappoint!